Blonde, beautiful and a great singer to boot, what else could you ask for? Well, Agnetha Fältskog is also a talented songwriter, and as one of half of the ABBA vocal department she became a worldwide superstar. Since ABBA ceased making records Agnetha has carried on where she left off, having been a successful solo singer in Sweden prior to ABBA. Her 2013 release A proves she still has the talent, the voice and the ear for what makes a great song. Agnetha Fältskog was born in Jönköping, Sweden and by the age of six had written her first song. In 1958, she began taking piano lessons, was singing in a local church choir and two years later Agnetha formed a trio, The Cambers, with two friends performing locally without much success. She left school at fifteen and worked as a telephonist, performing with a local dance band in the evenings. She soon had to make a choice between singing or answering the phone and chose singing, staying with the Bernt Enghardt Band for two years before her song 'Jag var så kär' was heard by CBS Records and she signed a deal releasing it as a single in 1968, becoming a big star in Sweden in the process. In 1970, she released 'Om tårar vore guld', her most successful solo single in Sweden; two years later she played Mary Magdalene in the Swedish production of Jesus Christ Superstar. Agnetha had first met Björn Ulvaeus in 1968, their friendship with Frida and Benny led to the formation of ABBA. Agnetha and Björn married in 1971 and it was not long after that the ABBA roller-coaster took off, carrying them and their friends to stardom beyond any of their wildest dreams. As well as recording and working with ABBA, Agnetha recorded solo material, which gave her a lot of success on the Swedish charts. At the end of 1982, her marriage to Benny over, Agnetha duetted with a former ABBA backing vocalist, Tomas Ledin on a song called "Never Again", which became a Top Five hit in Sweden, and can be found on the album, That's Me – the Greatest Hits. The following year she released her first post-ABBA solo album, Wrap Your Arms Around Me; it sold well throughout Europe, made No.18 in the UK and became the biggest selling album of the year in Denmark. Agnetha's next studio album in 1985, Eyes of a Woman, was produced by Eric Stewart of 10cc and sold well around Europe, helped by the hit single, 'I Won't Let You Go'. In 1986 she recorded another duet, this one with Swedish singer Ola Håkansson, 'The Way You Are', which was another No.1 in Sweden and it is on That's Me – the Greatest Hits. The following year she recorded an album with Peter Cetera and the hit single from the album, 'I Wasn't the One (Who Said Goodbye)', on which she duetted with Peter Cetera, is also on the That's Me – the Greatest Hits album. In 2013 Agnetha released her eagerly anticipated new album, A. The first single from the album is, 'When You Really Loved Someone' and it also includes a duet with Take That's Gary Barlow, 'I Should've Followed You Home'. 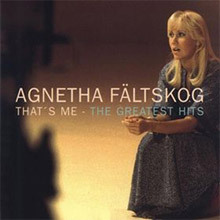 Former ABBA member Agnetha Fältskog's That's Me: Greatest Hits compiles highlights and rarities from the second phase of her solo career, which lasted from ABBA's breakup in 1982 to the late ‘80s, and comprised three albums, Wrap Your Arms Around Me (1983), Eyes of a Woman (1985), and I Stand Alone (1987). Three tracks each have been selected from these albums, songs that were released as singles in various territories and enjoyed some commercial success. For example, "The Heat Is On" (not to be confused with the Glenn Frey song of the same title that came a couple of years later) was released as the first single from Wrap Your Arms Around Me in the U.K. and made the Top 40, while in the U.S., "Can't Shake Loose" was chosen instead and made the Top 30. Both tracks, produced by British hitmeister Mike Chapman (the Sweet, Blondie), were in the synth-dance-rock style of the early ‘80s. More typically, however, Chapman and Eyes of a Woman producer Eric Stewart of 10cc, among others, tried to re-create elements of the ABBA sound that had made Fältskog successful, even to the point of recording in Sweden with some of the same backup musicians the group had used. The ABBA sound becomes even more prevalent on the disc because of the presence of a few actual ABBA tracks. "The Winner Takes It All" and "Slipping Through My Fingers" are songs on which Fältskog had the lead vocals, while "That's Me," an ABBA B-side, though featuring both Fältskog and fellow ABBA singer Frida, is described by annotator Carl Magnus Palm as one of Fältskog's favorite tracks by the band. Her last album producer of the era, Peter Cetera, did not go for an ABBA-like sound on I Stand Alone. Instead, recording in Los Angeles, he simply inserted Fältskog's vocals into one of his typical David Foster-like productions of West Coast pop in the manner of his own later work with Chicago and solo. As heard here, Cetera's duet with Fältskog on "I Wasn't the One (Who Said Goodbye)" (a Top 20 Adult Contemporary chart hit) was, for all intents and purposes, the follow-up to his duet hit with Amy Grant of the year before, "The Next Time I Fall." 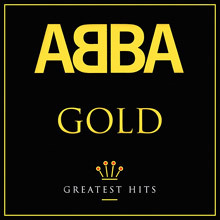 In addition to tracks from the solo albums and ABBA songs, the compilation is filled out by English-language singles and non-LP B-sides, several of which were issued only in Sweden. Several of these are impressive pop performances, notably the previously unreleased 1981 demo "The Queen of Hearts," co-written and co-produced by Fältskog herself, which is one of the more ABBA-like tracks here. After the release of I Stand Alone, Fältskog essentially retired from her musical career, but this album gives a good accounting of her immediate post-ABBA efforts. It takes only a few seconds’ exposure to Agnetha Faltskog’s wonderful new album, A, to experience a familiar feeling. When Agnetha opens her mouth and sings the first lines of The One Who Loves You Now, our sense of recognition is immediate. A voice that soundtracked millions of lives, it has not been heard on record since the release, nine years ago, of her chart-topping album My Colouring Book, yet those opening notes demonstrate that nothing has changed. Her crystalline, precisely enunciated tones, that heartbreaking vulnerability, the sense that Agnetha is singing directly to each and every one of us. Plenty of singers have found that growing older can be unkind to their voices. Not Agnetha. Listen, back-to-back, to her early hits as a solo artist, to a song from the Abba years, to a track from her new album, and try playing spot – okay,hear– the difference. Exactly – it’s impossible, isn’t it? We have Jorgen and Peter to thank for reminding us that “it” is most definitely there. Agnetha’s new album is compelling evidence that one of the greatest voices in pop is still capable of stopping you in your tracks, of causing your heart to miss a beat. For the woman who started writing songs at the age of five, who played the harpsichord in her local church, and sang in its choir, who first had a No 1 single when she was 18, and then went on to conquer the world with Abba, the journey continues – at her own pace, and on her own terms. Life offers you lessons, Agnetha says: the key is to heed them. She’s been away, but now she’s returned – with an album of songs that are somehow timeless, and sung in a voice whose beauty time has not dimmed. Welcome back – you’ve been missed. Lushly produced by 10cc's Eric Stewart, with all the lavish attention to detail that one would expect, Agnetha Faltskog's second English-language solo album is a lean and occasionally brooding hybrid of overstated '80s adult rock and boisterous Euro-pop, a blend that is epitomized by the opening cut, Jeff Lynne's "One Way Love," and never goes away thereafter. It makes for discomforting listening. Her final recordings with ABBA, after all, placed Faltskog in a fascinating position, a dark, doomed chanteuse capable of wringing crippling emotion from the most innocuous lyric. Only occasionally, however, does Eyes of a Woman even glance back in that direction (most notably on the title track), with Faltskog preferring elsewhere to disguise even the most distinctive elements of her voice beneath the overwhelming power balladry that was so characteristic of the age. Producer Stewart's own "I Won't Be Leaving You" emerges a lovely, sad song, comparable to any of the ballads he contributed to latter-day 10cc albums, while "I Won't Let You Go" (a Stewart/Faltskog collaboration) and Justin Hayward's "The Angels Cry" are both powerful enough to break through the album's overall sheen. Unfortunately, they are the exceptions. Elsewhere, Faltskog seems content simply to voice the words laid before her, an apparent disinterest that was broadcast even further first by her refusal to promote the album, then by her almost total disappearance from the public gaze. The eyes of this woman had obviously seen too much. Mike Chapman's production of ABBA's Agnetha Faltskog gave birth to the Top 30 hit "Can't Shake Loose," which charted in the autumn of 1983. Though it's a good song, it is not as memorable as Phil Collins' production of ABBA cohort Frida, whose "I Know There's Something Going On" went Top 15 eight months earlier. That Russ Ballard composed both hits for both exiled ABBA woman is worth noting. Truly the gals couldn't "shake loose" or supersede the fame they found in ABBA, and that's a pity as the music here, from the innovative first track, "The Heat Is On" (not the Glenn Frey tune from two years later), to "Shame," is all radio friendly and so much more refined than a lot of the dreck the major labels were issuing at the time. If anything the album covers as much stylistically as it can within the format that this singer was identified with. "Stay" would be perfect for Celine Dion as would "To Love" on side two, and that both Agnetha and Frida didn't become as well-known individually as Laura Branigan or even Debbie Gibson says something about the unkindness of the music industry. "Once Burned, Twice Shy" is grown-up girl group, taking a theme Ian Hunter worked and creating an irresistible mini-pop masterpiece. This album is not only fun, it has much depth. "Mr. Persuasion" is a throwback to Lesley Gore/Patty Duke/Shelley Fabares days. Tiffany eat your heart out. The title track, "Wrap Your Arms Around Me," is some strange mixture of 1973's "Love's Theme" by the Love Unlimited Orchestra morphing into 1978's "Love Is in the Air" by John Paul Young. The second Russ Ballard contribution, "I Wish Tonight Would Last for Ever," on the other hand, is a nice about-face, like much of this record, shifting tempos and ideas, a departure from the formula of Björn Ulvaeus and Benny Andersson's hit machine that was ABBA. Chapman's production work is appropriate and solid, the album feeling much like a similar Polygram release from around this time, Robin Gibb's How Old Are You? -- another member of a hugely successful group stepping out of the safety zone to create a dance-pop album of substance. At 46 and a half minutes, Wrap Your Arms Around Me is a healthy serving of charming melodies, Agnetha even penning a decent song she calls "Man." "Stand by My Side" concludes the disc in ABBA fashion, the only tune emulating the band she came from. That composition, like this album, is a real gem.